I love Easter candy…probably more than Christmas candy. And definitely more than Halloween candy, since Halloween candy is just regular candy in small fun size packages — not that there is anything wrong with that. So last week I was at the super market scanning the magazines — because what else is there to do in line — and saw Coconut Macaroons made into little nests with Robin Eggs in them. I was all “awww how adorable, but they would be so much better as cupcakes”. Now we all know I love cupcakes, but you can’t deny these are way better than predictable Coconut Macaroons. If you aren’t good with a piping bag, these cupcakes are definitely your new best friend! All you have to do is smear a layer of frosting on top in a flat shape and then roll it in toasted coconut. It’s pretty much the easiest frosting I have ever done on a cupcake. Then you smash on three multi-colored Robin Eggs and BAM, you have yourself some super adorable Easter cupcakes! Preheat oven to 350°F. Line a cupcake tin with liners. Set aside. In a medium bowl, sift together flour, baking powder, baking soda and salt. Set aside. In stand mixer, mix eggs and sugar. Beat in vegetable oil, coconut extract and almond extract. 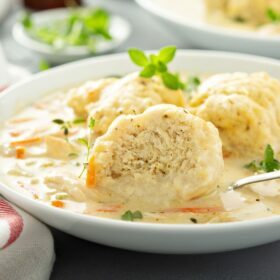 Carefully alternate dry ingredients (flour mixture) and buttermilk and the coconut cream (from the can of coconut milk), mixing until fully combined. Fill cupcake liners 3/4 full and bake for 15-17 minutes, until a toothpick inserted in the center comes out clean. Let cool for 5 minutes then transfer cupcakes to cooling rack and let cool completely. Frosting: Cream the butter, in a large bowl, until light and fluffy. Add the sugar, a half cup at a time, beating well between each addition. Stir in the coconut extract and almond extract until thoroughly combined. Beat the mixture well, until light and fluffy. 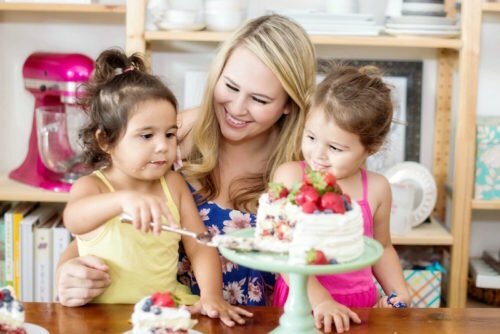 Using a large spoon or butter knife, spread a thin amount of frosting onto the top of each cupcake — leaving the top flat. 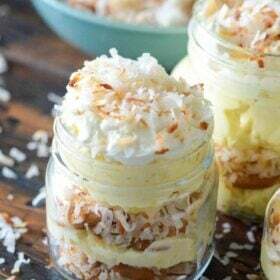 Place the toasted coconut in an even layer on a plate and press the edges of each cupcake into the toasted coconut. Arrange 3 Robin Eggs on top of each cupcake to look like eggs in a nest. My kids would love these so I better get my bake on!! Now these are some darn cute cupcakes! Definitely a sweet project for kids for the holiday, super cute! One can is 14.5 oz here in the states! 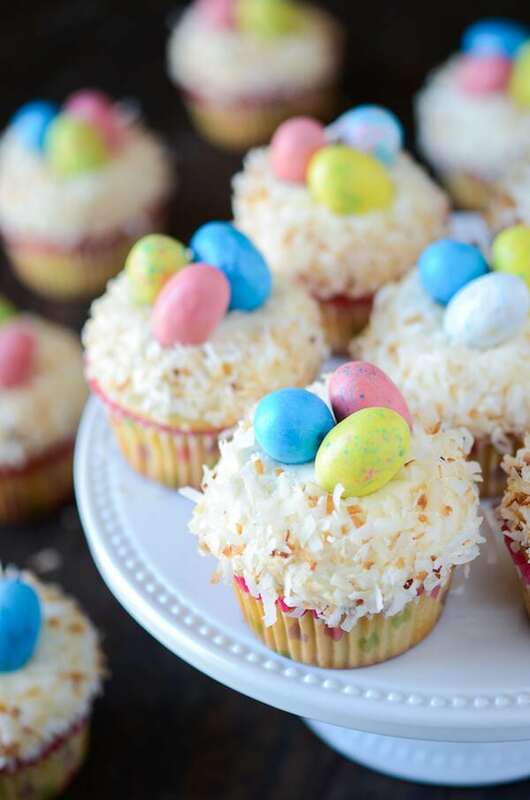 I’ve been craving something coconut lately and these look delicious and so perfect for Easter. I would say these are too cute to eat..but I wouldn’t be able to resist! These cupcakes are wonderful and I agree, I enjoy the coconut on a cupcake rather than a typical macaroon as well. Can’t go wrong with coconut and robins eggs, perfect springtime treat. I love coconut in any way, shape or form, in drinks, macaroons and cupcakes. Yumm!! These are sooo cute and so easy to make. These are adorable–definitely way better as cupcakes! I am either scanning the magazines at check out or trying not to buy the candy that is begging to be eaten. Magazines are better for my waist line. How cute are these cupcakes?! They totally top macaroons any day. Totally better as a cupcake! These are so sweet! I’m horrible with a piping bag, so these cupcakes are totally my best friends. And I LOVE Robin Eggs! umm i freaking love Easter candy…all time fave!! 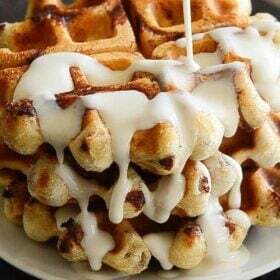 and yes, i am frosting challenged so this is perfect! These are super cute! I have been avoiding Cadbury mini eggs like the plague – once I start on those things, I can’t stop. Easter always means coconut in some form for me, whether it’s a great coconut cake or macaroon. I always love cupcakes, and these are just beautiful! 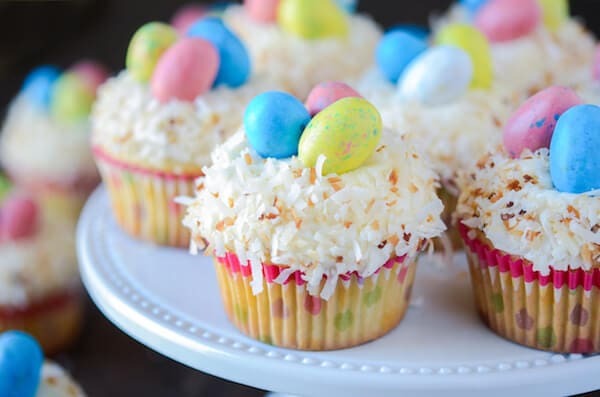 I love coconut cake, one of my favorite cakes of all time and these are perfectly festive for Easter! I am unsure about the coconut milk you used. I buy the lite coconut milk at Trader Joes. Can I use this or do I need something else? Thanks! These are super cute and lovely! I think I might try these for Easter! For the “pre-novice” cook, please give me baby steps to toasting coconut. Also, have no idea what to buy for coconut milk; will you help; with this ? as well? BIG thank you. 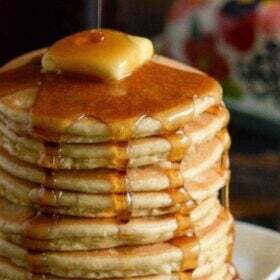 If you have the time to reply, really want to try this recipe. Guess my comment got lost in cyber space. Can’t wait to try these, but consider myself a pre-novice cook. 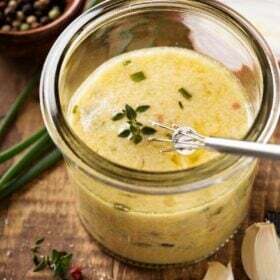 Please tell me how to toast the coconut and help with what to buy for coconut milk. BIG THANK YOU. As for the coconut milk, it’s sold in a can at every grocery store. It’s used a lot in thai food and is often found in the “asian” section of the grocery store! Good luck! Damn, these look good. I decided to bring a salad to Easter instead of another dessert but I might have to cave. 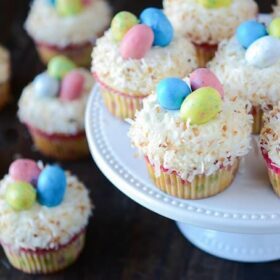 I made these for Easter dinner and they were a huge hit! I lightened them a bit by using splenda instead of sugar and was able to use lite coconut milk and apple sauce in place of the oil. Now if only I can figure out how to made powder sugar light? I was thinking of trying to use splenda and made it a powder in my food processor. What do you think about this idea? Hi Dawn! Glad you enjoyed them and were able to lighten them up for your family. I actually have little to no experience baking with splenda, so I am not sure how it would work being made into a powdered sugar substitute. 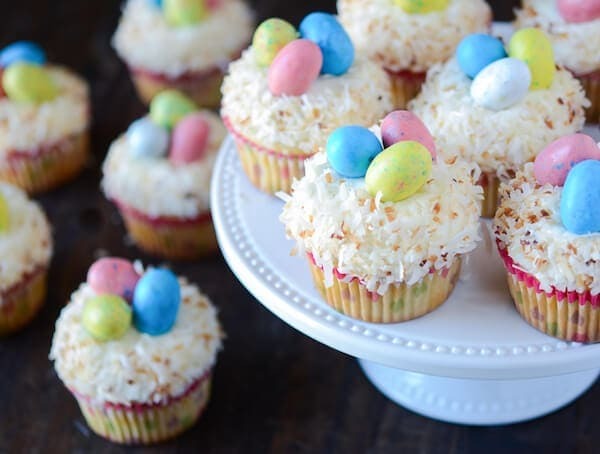 I know it’s past Easter but I made these because I had coconut flakes and coconut cream on hand. I made these twice this week and they are so yummy! I liked how you used coconut creme in the recipe…it came out so moist, this will be a go to recipe for me. Thank you so much!! 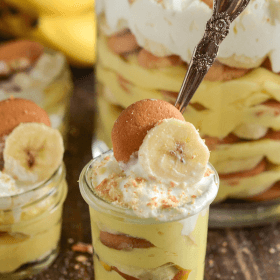 Pingback: Top 5 Baked Good Recipes To Try For Easter | Everyfoodrecipes, cooking tips, and how-to food videos—all rated and reviewed by millions of home cooks,make the perfect birthday cake, or plan your next holiday dinner. OMG!!! These are so good. The cake is so yummy and moist! My husband said it’s the best cake I’ve ever made and we’ve been together for almost 20 years!! I hate to be a spelling freak… But your cupcakes say they’re TRIPE coconut cupcakes. I know what you meant BUT it just made me think of intestines and stuff. Tripe is usually bleached white though… Any ways I and definitely throwing some coconut cream in my cupcakes tomorrow! Thanks! Ahh. Thanks Mimi! With the new design and transfer to my new host some old posts got a little messed up in the move. Thank you for letting me know so I can correct it! !